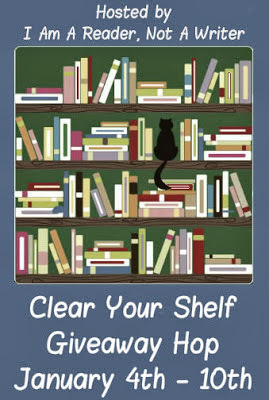 Laurie Here - Contemporary Fiction and MORE - Book Reviews: Clear Your Shelf #Giveaway Hop! NOW to Jan 10th! Clear your Shelf, well I've had this one on my shelf for a long time now, and it needs a home! Thanks to our host, I Am A Reader now I can clear this off! This Hop is now OVER. The Winner will be announced shortly! Please watch my Facebook page for the winner! What happens when you are followed by millions . . . and loved by none? Twenty-seven-year-old Logan Wade is trying to build a life for herself far from her unhappy childhood in Oklahoma. Until she gets the call that her famous cousin needs a new assistant, an offer she can't refuse. Logan hasn't seen Kelsey in person since their parents separated them as kids; in the meantime, Kelsey Wade has grown into Fortune Magazine 500 most powerful celebrity. But their reunion is quickly overshadowed by the toxic dynamic between Kelsey and her parents as Logan discovers that, beneath the glossy fa;ade, the wounds that caused them to be wrenched apart so many years ago have insidiously warped into a show-stopping family business. 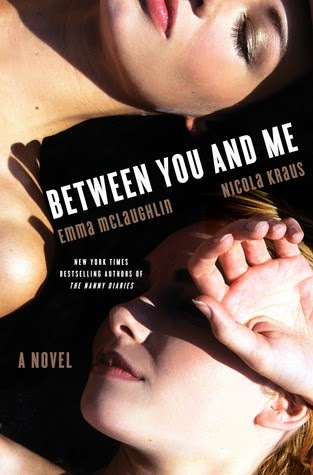 As Kelsey tries desperately to break away and grasp at a real life, beyond the influence of her parents and managers, she makes one catastrophic misstep after another, and Logan must question if their childhood has left them both too broken to succeed. Logan risks everything to hold on, but when Kelsey unravels in the most horribly public way, Logan finds that she will ultimately have to choose between rescuing the girl she has always protected . . . and saving herself. This is directly from the Publisher and is an Advanced Uncorrected Proof that CANNOT be sold. I WILL hold you to it. This is the type of book that is passed around to other people FREE OF CHARGE. See below and I ask you to click on that button and scroll down and read the policy. I take this matter to heart, and I ask you to as well. I follow you on bloglovin as robyn donnelly. Thanks for this opportunity to read these books. Thanks for coming by and entering the Giveaway!! You are VERY welcome for the books!! I hope you win LOTS of books in this hop!! I know when I used to enter ALL of them, I used to win 2 or 3 at times, so GOOD LUCK!! If I were you, I would definitely enter!!! In case you already own one of those, you can decide to choose $239 on an Amazon Gift Card OR in PayPal CASH!!! Wow!! Good luck! !